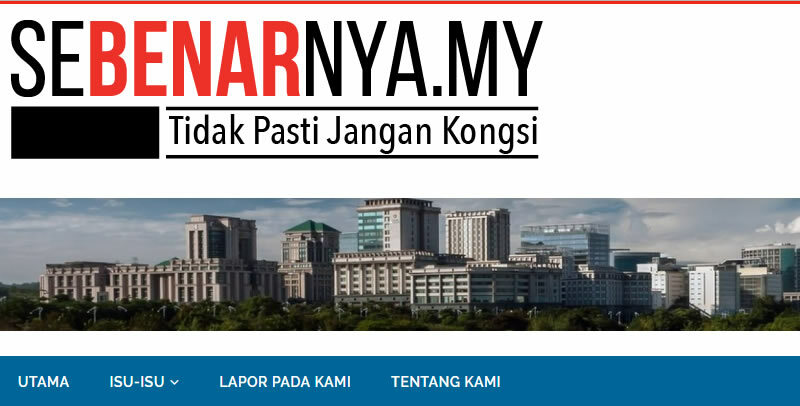 With rumours being viral faster than you can count, the Ministry of Communications and Multimedia, in collaboration with the Malaysian Communications and Multimedia Commission (MCMC), has launched a site addressed at ‘Sebenarnya.my’, which if translated to English, would mean ‘Actually’. The site helps consumers check facts with government agencies, hence addressing inaccurate news that has been received. According to MCMC, users can send a request to check the validity of news they have received through the site, in which the site would seek clarification from the relevant agencies. MCMC further explains that the context of the news involves those pertaining to public importance and the the safety of the country. The move to launch the site was to address the growing number of inaccurate information spreading wildly on social media, as well as to educate the public on identifying false news. We personally checked the website, and the most interesting category was about religion, thought the contents seems rather limited at the moment. Anyway, it is a good move by MCMC but it remains to be seen if the news validation, especially pertaining to certain political and religious issues would be explained without bias. Irregardless of that, do check out Sebenarnya.my to see what’s true and not. Good things! People nowadays tend to spread false informations without even checking whether its true or not. Tengok viral je terus sibuk nak share jugak.